Why the prepared environment is so important to the success a child experiences with Montessori education? a lot of movement and activity. Children are free to choose and work on activities at their own pace. ​Here, they experience a combination of freedom and self-discipline, as guided by the environment. What are the main learning areas in the Montessori classroom? 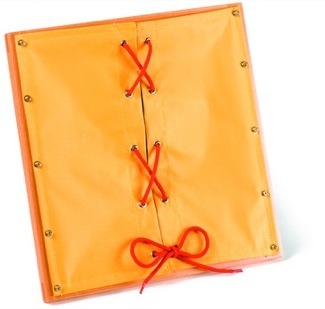 • Care of self – lessons in hand washing, nose blowing, and dressing frames. • Care of the Environment – lessons in care of plants and animals, table washing, sweeping and cleaning spills. • Grace and Courtesy – lessons in manners, answering a phone, passing objects correctly, conversation. • Control of Movement – walking the line, silence game, bell game and walking the balance beam. Dr. Montessori discovered that children between the ages of 2 – 6 years are in their sensitive period for movement making them most receptive to these simple, yet precise exercises. In addition, Practical Life exercises provide opportunities to: think sequentially, have attention for detail, gain independence, refine coordination, enhance concentration, establish a sense of order and develop poise. These indirect aims provide the foundation needed for other learning areas of the classroom, especially math and language. 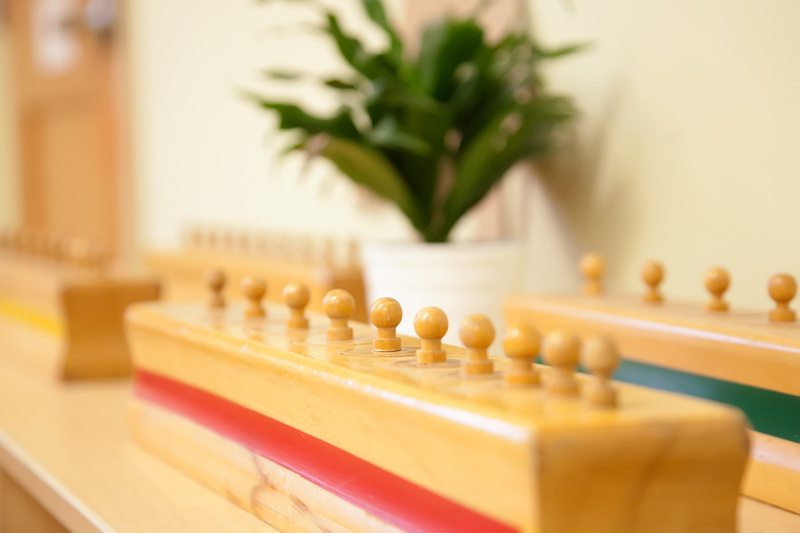 Equally important, not only is a specific skill being learned, but also the children are gaining a sense of pride, independence and self-discipline … qualities that are the essence of Dr. Montessori’s philosophy. In turn, they are fostering their development to be responsible, self-disciplined adults with the necessary tools to achieve life-long success. Dr. Montessori was a strong proponent of the notion that the path to education is through the senses. To better illustrate her point, she often said, “The hand is the instrument to the mind.” This is especially true for future mastery in the areas of math and language. Dr. Montessori noted that from birth to 6 years of age a child is most receptive to absorbing valuable information through her visual, auditory, tactile, olfactory and gustatory senses. With this in mind, Dr. Montessori developed materials that are specifically designed to educate and refine the child’s senses; each targeting an isolated sense, as well as being self-correcting. 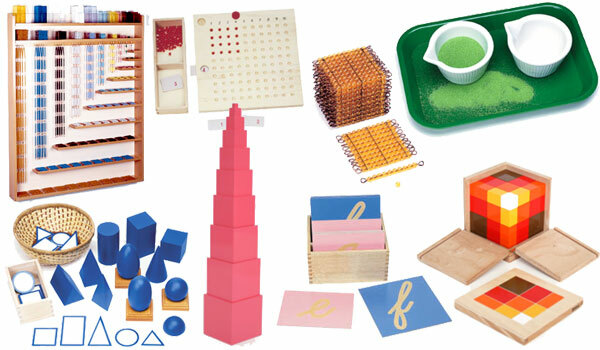 She also recognized that learning must be concrete before it can be abstract; therefore, the sensorial area consists of specific didactic materials, such as the red rods, the pink tower, the brown stair, and the knobbed cylinders that not only stimulate a specific sense, but also isolate a specific quality and degree of difficulty that will provide the necessary concentration to feed the child’s mathematical mind. ​Most of the sensorial materials require little teaching and supervision from the teacher. The teacher’s role is to be a link between the child and the environment. It is not the end product or correct answer that concerns the teacher, what is most important is that the child be allowed to develop naturally, enjoys learning and is an active participant in the development of her own intelligence. Dr. Montessori often stated that a young child has a “natural tendency to think in mathematical terms; to count, to measure, to recognize shape and symmetry.” She referred to this as the child’s mathematical mind. 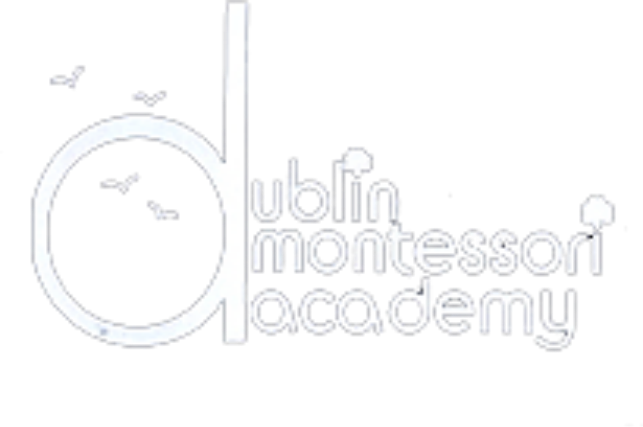 The Practical Life and Sensorial areas of the Montessori classroom have provided much of the preparation needed for the child’s mathematical mind. In these areas the child’s hands-on and sensorial experiences have subconsciously refined his concentration, his sense of order, his attention to detail, and his classification and sequencing skill. These preliminary skills will guide the child’s natural progression into the world of mathematics. 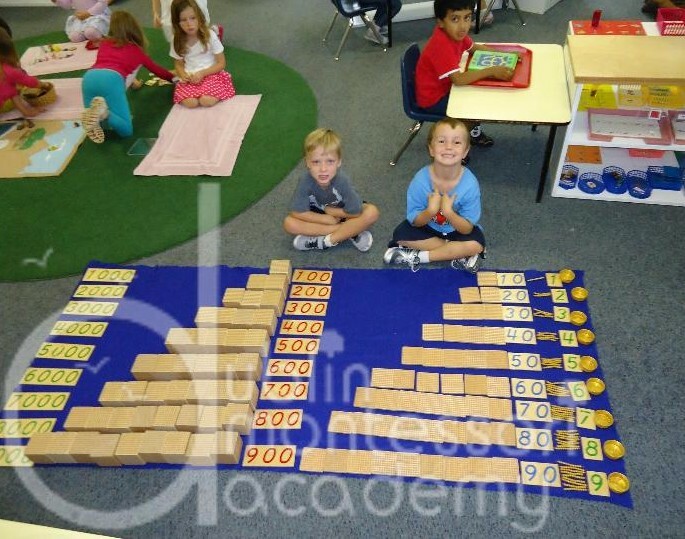 Unlike the traditional methods of teaching and learning numbers and computation, mainly through worksheets and memorization; the Montessori teacher utilizes hands-on materials to provide the child with a simple, clear understanding of the mathematical concept being taught; examples are: number rods, sandpaper numbers, number boards, number tiles, beads and games. Each exercise builds upon another, gradually guiding the child’s mathematical mind from the concrete into the more abstract areas of numeration, place value, addition, subtraction, multiplication, subtraction, and fractions. Typically, when we think of a child learning to write and read, we are reminded of endless worksheets and reading workbooks. Fortunately, this is not the case in the Montessori classroom; instead, language is a very hands-on and tactile experience for the Montessori child who is preparing to write and read. However, preparation for language in the Montessori classroom is dependent upon the indirect experiences, as well as the direct; mainly from the Practical Life and Sensorial areas. The child’s repeated work with transferring, pouring, grasping, squeezing, washing, and pinching has strengthened his small finger muscles in preparation for writing. Often parents want to know which should come first reading or writing. This is a question that Dr. Montessori struggled with herself. In fact, Dr. Montessori originally felt that a child before the age of 6 years should not be taught writing or reading. However, she changed her thoughts on this when her 4 year old students took it upon themselves to start sounding out and writing words with chalk on the rooftop of her school. She was shocked to see their enthusiasm and their abilities. It was not long after, that they began to come to her and ask to be taught to write and read. ​Following the child, Dr. Montessori began to rethink her ideas about writing and reading. She realized that the desire to write was an area of movement that the child needed to fulfill as part of his sensitive period for movement and if this window of opportunity was missed the child may find writing more difficult at a later age. She now had her answer to the question that she struggled with; writing, she decided, should come before reading. With this in mind, she developed learning tools such as the metal insets, sandpaper letters and the moveable alphabet with the direct aims of improving muscle coordination, letter formation and beginning sounds. Dr. Montessori was also consistent in developing language exercises that take the child from the concrete, such as working with objects and matching them to the correct beginning sound; to the more abstract work of matching objects or pictures to words. 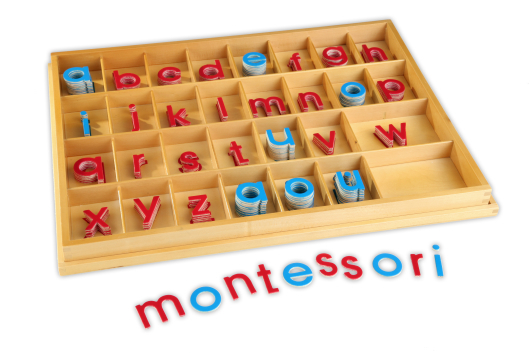 As rich as the Language area is in the Montessori classroom, with its unique materials and lessons, it does not stand alone. The teacher must be an exemplary role model when it comes to the use of the English language, as well as enrich her student’s vocabulary development and listening skills with daily story times, picture discussions, poetry, rhymes, question games, and ongoing discussions about interesting world events and/or shares the children may have. Finally, and most important, the teacher is the guiding light. She is the link between the learning environment and the child; she must follow the child’s needs and provide him with the appropriate lessons and experiences that will make him a writer and reader according to his own timetable. 1. Geography – an introduction to our place in the world; land, air and water; land and water forms; globes and maps; the seven continents; flags; layers of the earth; our solar system and an overall respect for different cultures and peoples. 2. History – teaches the basic concept of time through the use of the daily calendar (days, weeks, months, seasons), simple time-lines and birthday celebrations called “The celebration of Life.” Through these activities, the child will also develop a sense of self-worth and belonging. 3. Biology – the simple exploration of botany and zoology as children learn about the plant and animal kingdom; ecosystems; the human body and nutrition. 4. Art and Music – through a variety of arts and crafts children bring to life what they are learning and experiencing; creativity and self expression are strongly encouraged in this area of the classroom.